If you want the most prototypical looking and operating couplers for your Sn2 train, consider the HO scale Type-E couplers by Sergent Engineering. Harry Downey has been putting Sergent couplers on his freight cars. Here are a few photos that he posted on the Sn2Trains@groups.io email group. Installation of the Sergent coupler from the bottom. This is the accurail coupler box. 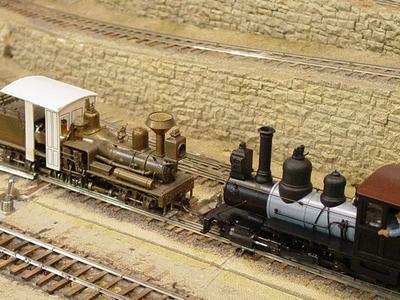 The freight car truck is an HO Tichy Archbar with a narrowed bolster and HOn3 wheelsets. The Sergent couplers do not operated the same as KD style couplers. They operate more like the prototype. They do not auto center, so need to be aligned for couple and they require a magnetic wand to uncouple. They are not for everyone. Read more about them on the Sergent Engineering web site. 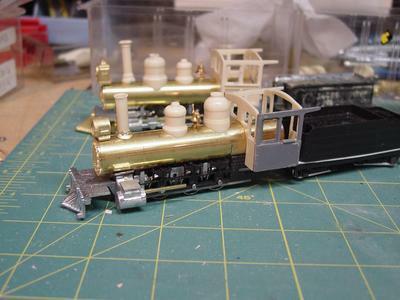 It might be reasonable to mount them without a box in a similar manner to how Gary White is mounting HO Scale Kadee #153 couplers. Without the coupler box, there would be more room for truck swing. In addition to the Type-E Sergent Engineering offers a Sharon coupler. I’m not sure which is more correct. He produced a coach and combine for the WW&F. My memory is that the original kits were Laser cut with Resin roof’s. Later the whole car might have been resin. Jerry cast domes, cabs and such to convert the MDC HOn3 2-8-0 to approximations of SR&RL 2-6-0’s and 2-6-2’s and WW&F #6. He also produced a spiral bound book for those who wanted step by step conversion instructions. Jerry Wilson conversion parts – FYI: Address is no longer good, he has moved. Two Jerry Wilson cast cabs. Jerry Wilson 2-6-0 conversion on right. The shay was his own Gilpin style conversion. If you have competed a conversion, please share the photos with me or on the Sn2Trains.io group. 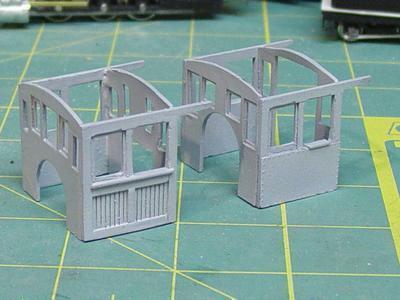 Jerry Wilson water wagon kits. Horses not included. we PLAN to start on SR&RL caboose 554 soon. This is a very unique caboose and was originally an F&M car (yes, there are several photos showing it lettered F&M). It has never been offered before in any scale – certainly nothing accurate. We would ask for a show of hands for the OnX and Sn2 versions of this car. The car had leaf spring arch bar trucks! Here’s a late teens photo of it at Phillips. 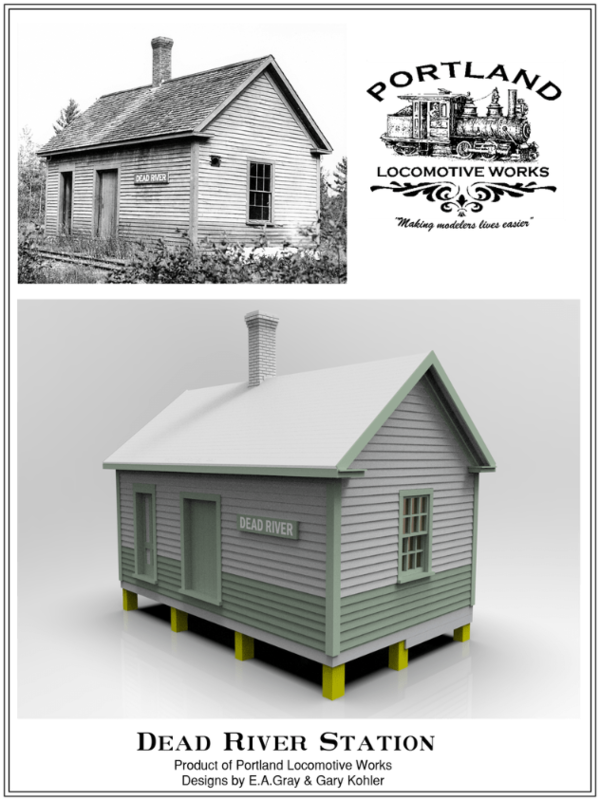 Deerfield River Laser (DRL) is now offering Wiscasset Waterfront Structures to accompany it’s S-scale boat offerings. Even if your not doing the Wiscasset Waterfront, these structures look like they could be used as generic New England structures when placed on a stone foundation. Checkout the DRL’s S-scale page. DRL’s S-scale Wiscasset Grain Co. If the 3D image of SR&RL Flanger 502 looks good to you, now (11/23/2016) is the time to place an order with PLW before it goes into production. PLW produces kits in limited runs and may never produce a give kit again. Next up on the PLW website looks to be flanger 501….